Tom Waugh MRSS uses salvaged pieces of stone and marble to carve hyper-realistic depictions of waste and rubbish using the traditional materials and techniques of stone sculpture. 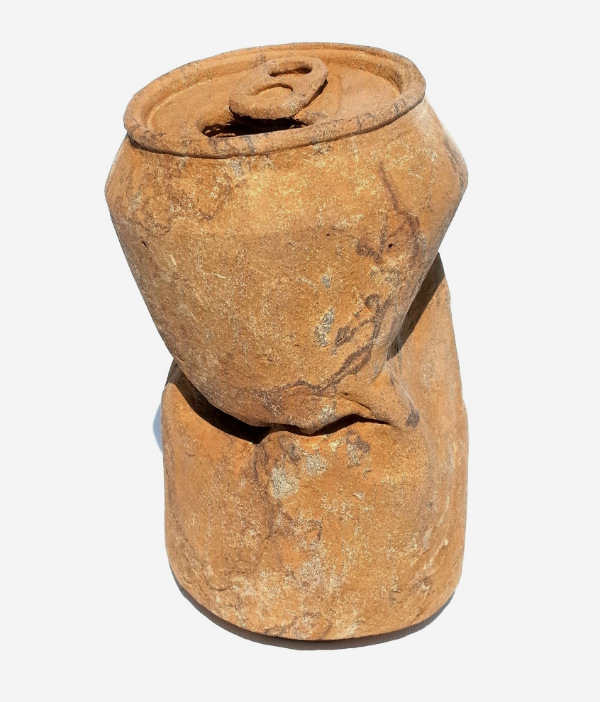 On the surfaces of these artworks he documents the minute imprints of human use; plastic bags, cardboard boxes and tin cans are squashed, crushed and wrinkled whilst still displaying the traces of mass production. These discarded vessels, frozen in time and rendered in stone could be seen to represent the fossils of the future but ultimately they seek to make people look again at the objects that we take for granted.